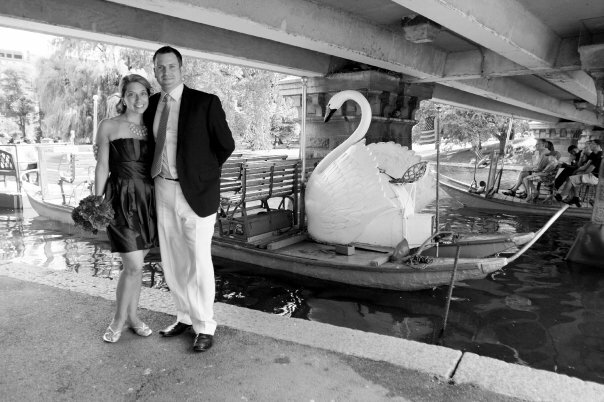 Not only is it New Year’s Eve 2012, it is also our two year blogging anniversary. We are so excited to begin 2013 and look forward to sharing new ideas, reviews and inspirations. One of our favorite new finds is a super book store in Enfield, Connecticut located at the Enfield Square. The best thing about this amazing store is that all books are $2.50 each! Yes, $2.50! They have a stock that changes quite frequently and a fairly large cookbook selection, which, for two cookbook addicts, is like heaven. 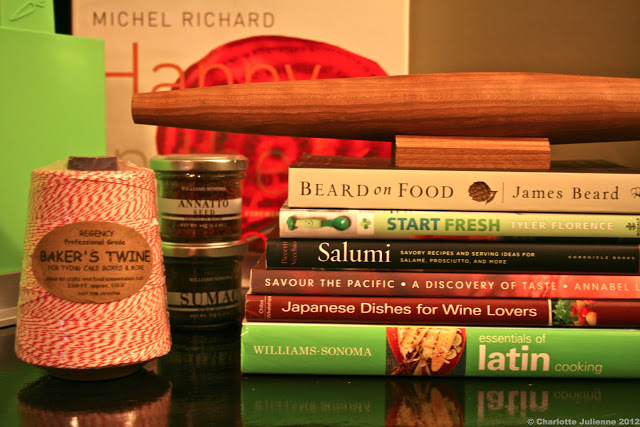 For Christmas we received gorgeous cooking gifts including a hand made rolling pin, Joseph Joseph cutting boards and mixing bowls in gorgeous bright colors, Williams Sonoma Annatto and Sumac spices, charming red and white bakers twine, chocolates, wines, vinegars and spices. We can’t wait to share our new finds with all of you in the coming months. Happy New Year and thank you for our 91,888 hits!